In the announcement video, Xaviant director of operations Josh Van Veld said, “one thing that has emerged very clearly for us is that The Culling 2 was not a game that you asked for, and it’s not the game that you expected as a worthy successor to The Culling.” Without going into the specifics of how the developers had come to that conclusion, Van Veld explained that in an effort to win back fans, the studio would now focus its efforts on reviving the The Culling 1. The original Culling was an early battle royale attempt with a game show vibe that emphasized melee combat. 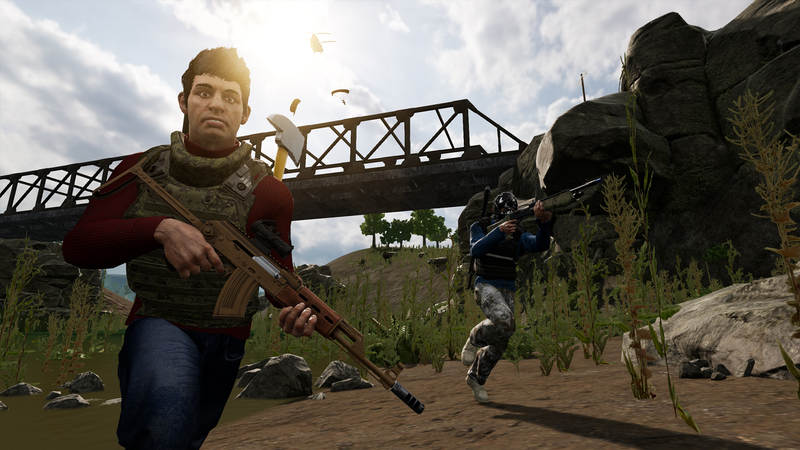 The Culling 2 had technical shortcomings, but many fans also saw it as having failed to set itself apart from, say, PUBG. There are currently 157 user reviews for the game on Steam, only 14% of which are positive. One reads, “2nd day after release and there are already only 2 players online.” A mod post on the top of the game’s subreddit told players to stay from the game because there were so many bugs. Last Thursday, two days after The Culling 2’s release, the Xaviant Twitter account announced the development team would be doing some soul searching and having a “difficult discussion” about the future of the studio. Presumably, this announcement is the conclusion of those conversations. Xaviant will pivot back to the first game with a new, free-to-play build called The Calling Day One. “Our immediate goal for The Culling in terms of our first update is to take the October 2017 build that’s live right now and to modify it so that every aspect of the gameplay matches the day one build,” Van Veld explained in the video. In other words, The Culling, which came out of Early Access on Steam last October, will be going back into development so that Xaviant can make it more like its Early Access version. Things like character perks, airdrops, and the original feel and balance of the combat—changes which rubbed many of the game’s early fans the wrong way—will all be returning in the coming months. This “day one” build, which is the version released in the game client on March 2017, will go up on the test servers in the next couple of days, Van Veld told Kotaku in an email. Meanwhile, the current build from when the game left Early Access in November will get an update sometime later this year that brings it in line with the day one build. He explained that The Culling won’t go free-to-play until that switch happens. After development on The Culling abruptly stopped last December, the remaining fans of the game reacted with shock and confusion when, out of nowhere, Xaviant announced a sequel in mid-June, which then came out a month later. According to Van Veld’s announcement, when The Culling left Early Access, Xaviant wasn’t happy with the game but didn’t see a path forward to fix it, hence The Culling 2. Now, Xaviant has decided the path forward is actually to go back in time. Despite eventually going free-to-play to help boost the games’ anemic player counts, it remains to be seen whether this time travel gambit can give The Culling a second life.